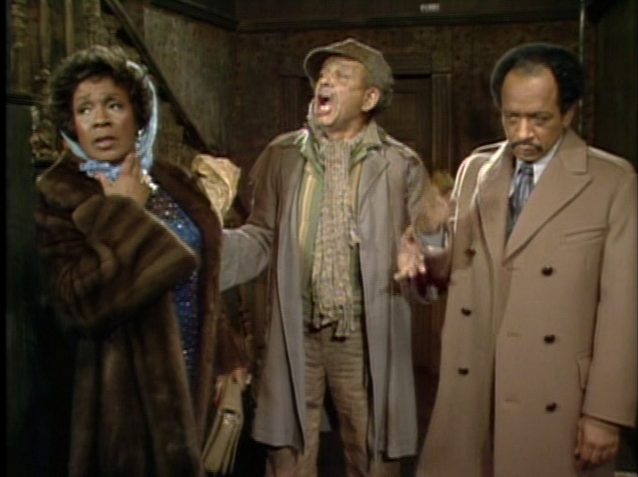 Anyway, it was our dad that introduced me to the Jefferson's. I can hear his laugh traveling throughout the house at whatever antics the Jefferson's were getting into that episode. 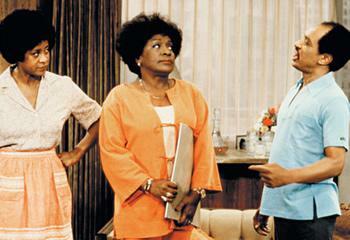 Louise, who was played by Isabel Sanford, had an iconic voice: abrasive, rough, and loving. It always stuck out to me, as did her clothes. Weezy had a wardrobe filled with essentials. 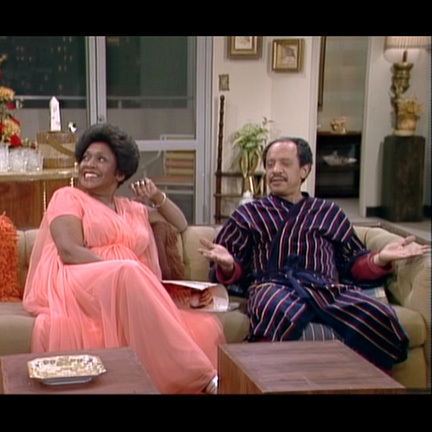 Side-bar: I really don't think costume and wardrobe designers get the recognition they deserve. Creating a look for a character takes a lot of time and research. They also have to read and interpret the script, and consider locations, weather, etc. Plus you know designers were not sending over boatloads of clothes for actors to wear back then. But I digress. Weezy's wardrobe consisted of a mixture of pants and skirt suits, kaftan's - both short and long, trench coats, layered necklaces, hooped and stud earrings and stacked rings. She also wore a variety of fabrics including jersey dresses, furs, and chiffon. To top it all off her manicure's were always fresh and she wore a variety of hairstyles. 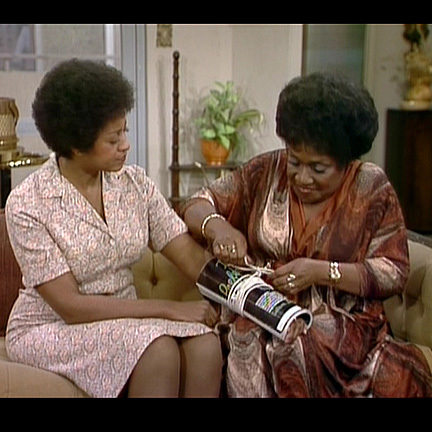 Be sure to scroll all the way to the bottom for a bonus video of the late, great, Sherman Hemsley on Weezy. They called her "Queen B" back in the day! Unfortunately I was not able to get any images of Louise, solo in her drag, however the pics below will give you a sense of what I'm saying. With Spring here and trends like stacking and layering not leaving anytime soon its now very easy and inexpensive to incorporate these look ideals into any wardrobe. Things like kaftan's and trench coats will be plentiful as many thrift and vintage stores are carrying these right now. You can also try a trench coat with ruffles or kimono style jackets along with a kaftan or two.